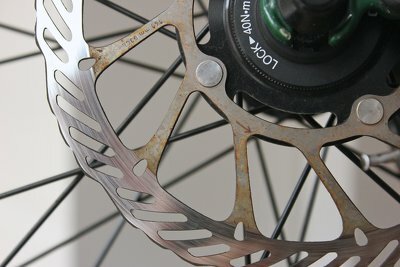 After riding around town in winter various steel parts of my bicycle had grown some rust stains. 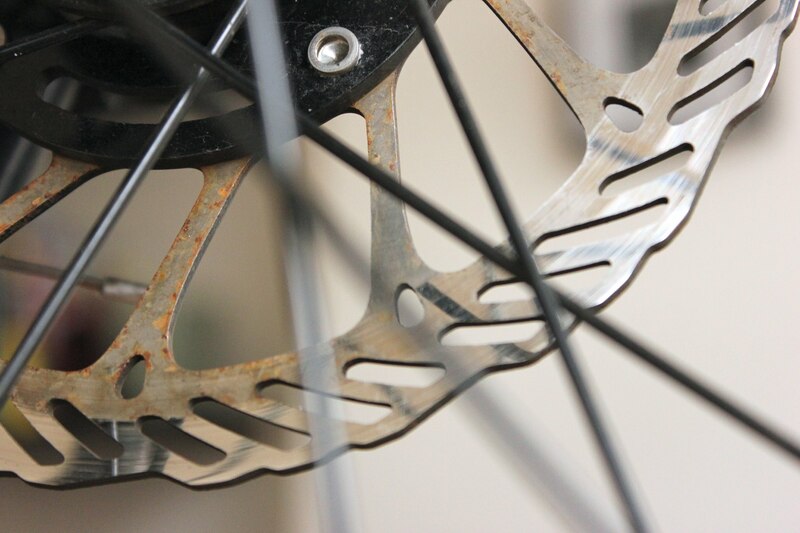 If you want to get rid of rust stains there are numerous options. The simplest solution I found was rubbing the metal with some crumbled up alumnium foil. I didn't have to take anything apart, or go out and buy anything. 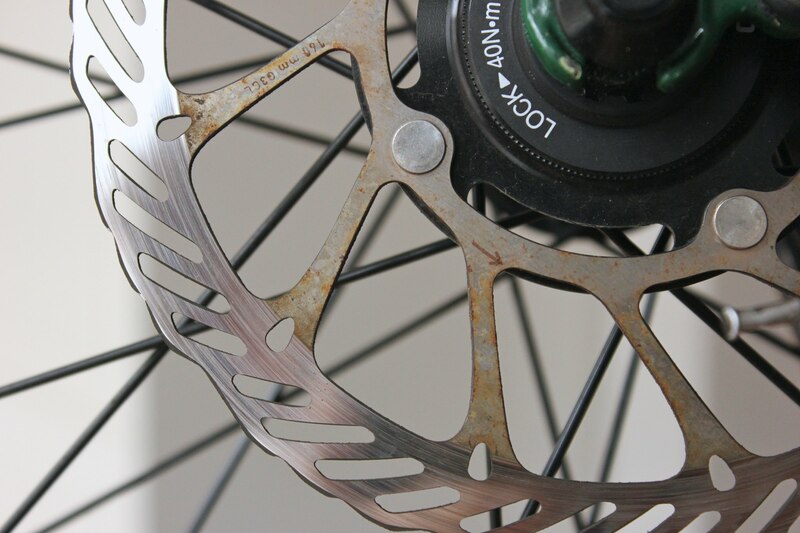 Rust stains are visible on the spokes of the rotor. The right two spokes have been treated by rubbing some aluminum foil over it. Rubbing the outside of the rotors was relativly easy, the worst rust comes of pretty quickly, but getting the spots is more difficult. Reaching between the nooks and the inside of the rotor was quite difficult. The chain, and some bolts also had rust stains on them, where I applied the same technique. Alumnium foil can be foun din almost any home, no need to get any special products. You can crumble up alunnium foil in any size and shape to fit your specific job. No need to remove parts before treating them. Requires a lot of rubbing, depending on the rust and shape of the part. Aluminum foil breaks down during the process which leaves a mess on the floor.